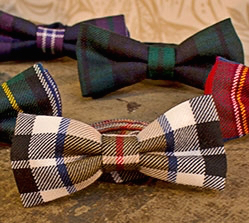 Lochcarron of Scotland offer a wide range of bespoke tailored goods & accessories. We are all proud that we prepare, weave & finish our fabrics & accessories in Scotland. The attention to detail of our skilled crafts people ensure we always supply a beautiful quality item which we hope you will appreciate & enjoy. A few of these include skirts, kilts, scarves, shawls, serapes, capes, sashes, cumberbunds, neck and bow ties, cushions, throws, tablewear or any craft project. We always recommend using our Light Weight (Reiver) Tartan Fabric to produce any of our custom-made products.